Dance Ontario DanceWeekend takes places every year in Toronto and features an incredible line-up of dance artists in short performances over three days. This year the London Dance Festival is pleased to host a live streaming of the Sunday performances. See 9 companies including London native Ryan Lee, who will present the world premiere of his new work “Less.” Everyone is welcome to join us for this exciting viewing for only $5. In and out privileges apply. 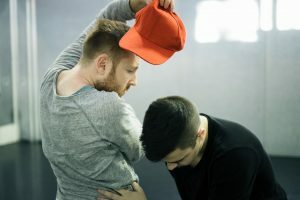 Less is a contemporary dance work for three male dancers exploring masculinity, insecurity and expectations, along with personal, family and societal ideals of what it means to be a man with the intent of encouraging a wider conversation on exclusion, bullying and discrimination. Dolphin examines the demise of spirituality through a blend of contemporary dance and physical comedy. Drawing inspiration from late 1990s & early 2000s nostalgia, iconic pop music artists and their performances, slapstick comedy and kitsch art, Dolphin will call into question ideas of persona, exaggerated borrowed identity and the tendency of the current generation to cheapen spirituality to cater to the needs of the social media model, serving their own personal 15 seconds of fame. 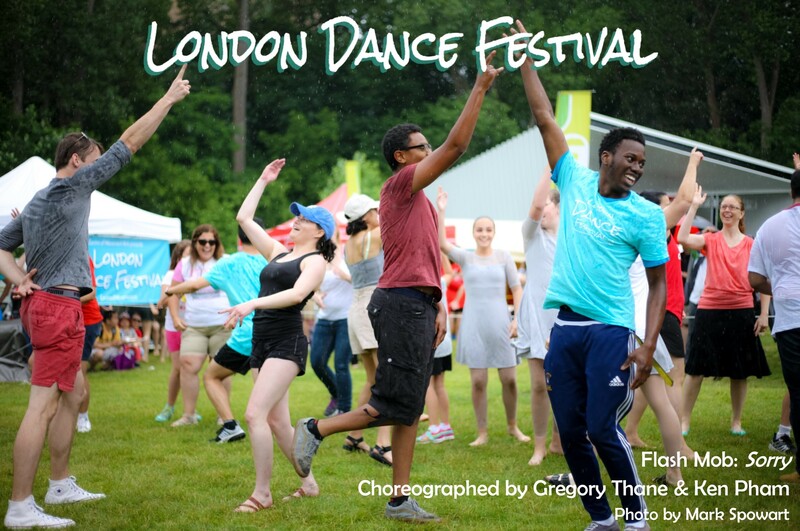 Dance Ontario is a key component of the province’s dance sector and a focal point for its communications, networking and capacity-building resources. Dance Ontario has had a significant impact on the art form, artists, audiences and communities, spanning the provincial dance sector through a membership that includes internationally-renowned companies, emerging collectives, teachers, choreographers, dancers, costumers, lighting designers, venues, photographers and videographers. An explosion of dance that showcases raw talent and contemporary innovation as well as the beauty and diversity of traditional styles. Join us for three days showcasing 25 of Toronto’s most stunning dance companies, plus two exciting world premieres from Ryan Lee and Alyssa Martin. It’s a weekend to inspire any dance fan.